Dozens Bake Shop is offereing a limited edition cupcakes, in a box with a bow for Valentines. The box of cupcakes comes with four different flavors and they are taking pre-orders now. 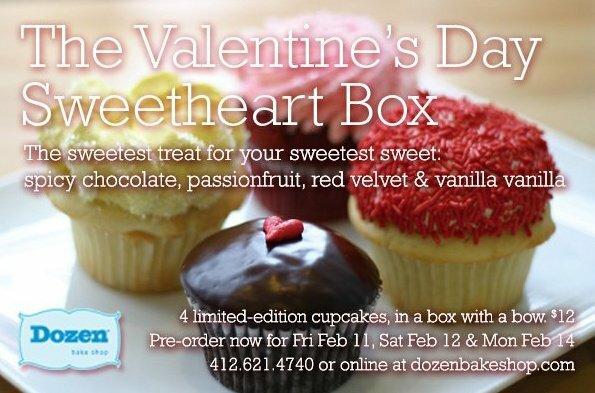 With three locations: Lawrenceville on Butler, Oakland on Craig st, and Downtown on Liberty Ave, you don’t have any reason why you couldn’t place your order and pick up your Sweetheart Box with their convenient locations. You should still pay Dozens Bake Shop a visit even if you don’t need cupcakes. Dozens has established itself as not the typical old fashioned bakery. 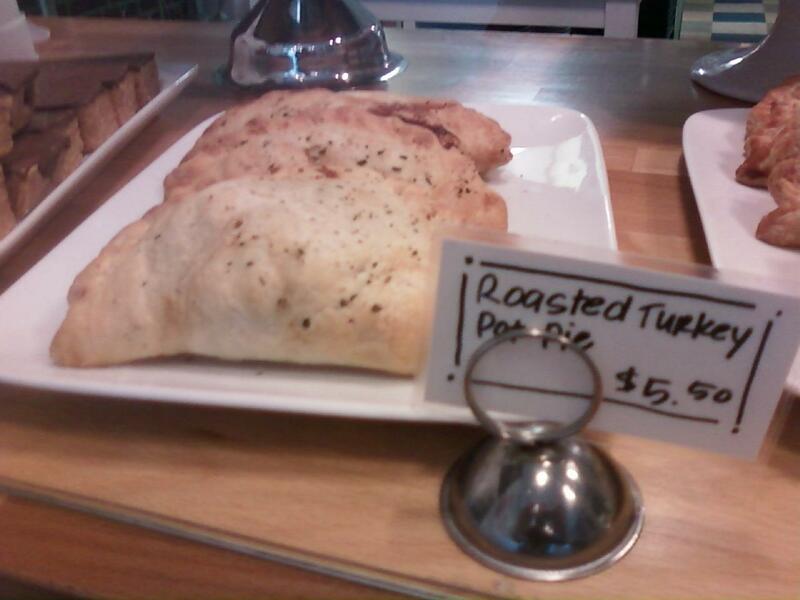 But, they are a new style, Urban Bakery. Something that Pittsburgh needed that cities like Chicago and New York have already been enjoying for years. Yes, they have good pastries and cakes, but go in, sit down and have a homemade soup and sandwhich for lunch. Stop in before work, grab a coffee and a pastry. Or maybe, relax and enjoy a Roasted Turkey Pot Pie…homemade, with a turkey cooked right in the oven, just like on Thanksgiving! Dozens also grows their own herbs, makes their own jams for their homemade pop tarts, yup, you heard me, homemade pop tarts. I had the opportunity to try one and in the words of Rachel Ray “Yummo!” And what a smart business mind by growing his own herbs, saving on cost big time not only for himself but also for his customers. If you visit their main location in Lawrenceville, ask for James. He is the owner and mastermind behind Dozens. In his own words, he says he “let’s the ingredients speak for themselves.” A true artist of food.